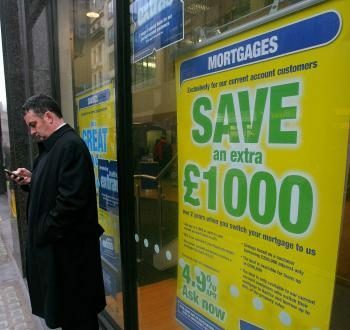 The sub-prime mortgage crisis and subsequent credit crunch has led many banks and lenders to increase interest rates and tighten up on lending criteria. Pharmaceutical companies are facing tough times with increased use of generics and loss of older patients. Mexico, the manufacturing hotbed of U.S. companies, faces strong hurdles toward achieving its economic potential. Despite an increase in discretionary income, many UK households are cutting back on unnecessary spending. GE to build new advanced technology research center in southeast Michigan. The Federal offered very little to those yearning for new evidence that the recession is indeed receding. Banks just can't seem to escape negative publicity these days. The European Central Bank (ECB) has announced a loan of 442.2 billion Euros to commercial banks across Europe. A ban on the purchase of Chinese goods, issued by an Australian state government, has raised trade concerns. Online retailer Amazon.com agreed Toys “R” Us $51 million to settle a long standing dispute. The public has developed a mistrust of lobbyists from private corporations trying to influence governments. Interview with Markus Elsaesser, president of Solar Promotions, a firm that promotes and organizes solar technology trade shows. The economy may be stabilizing for most businesses, but the airline industry expects a turn for the worse.